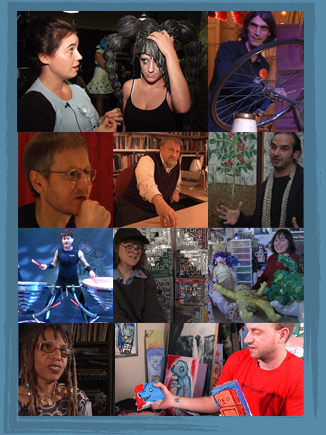 ReVision is a documentary film that showcases the art of Pacific Northwest artists such as Ross Palmer Beecher, Marita Dingus, and ScrapArtsMusic, among several others. These premier Northwest artists create music, sculpture, fashion, street, and mixed media art using repurposed, found, or salvaged materials. The medium used by these artists communicates a strong environmental message about issues surrounding consumption and waste. ReVision is a consideration of the issues recycled artists face in trying to get their messages out in a traditional art world. As one recycled artist articulates, “When you tell people you’re an artist they initially think you’re a painter.” There are some artists such as Charles Thompson who don’t even consider what these recycled artists produce as art. We welcome the opportunity! Contact us now. Tell us what you think or tell the facebook community!